The end of this garden in Larkfield was a mixture of roughly-laid paving slabs, weeds, old bark and membrane with the odd stray brick chucked in for good measure. The owners didn't quite know what to do with it but wanted an area to sit and possibly entertain and preferably didn't want anything requiring too much garden maintenance. With a budget in mind and trying to recycle the existing paving slabs we came up with two differently priced designs using the twisted willow tree as a focal point. 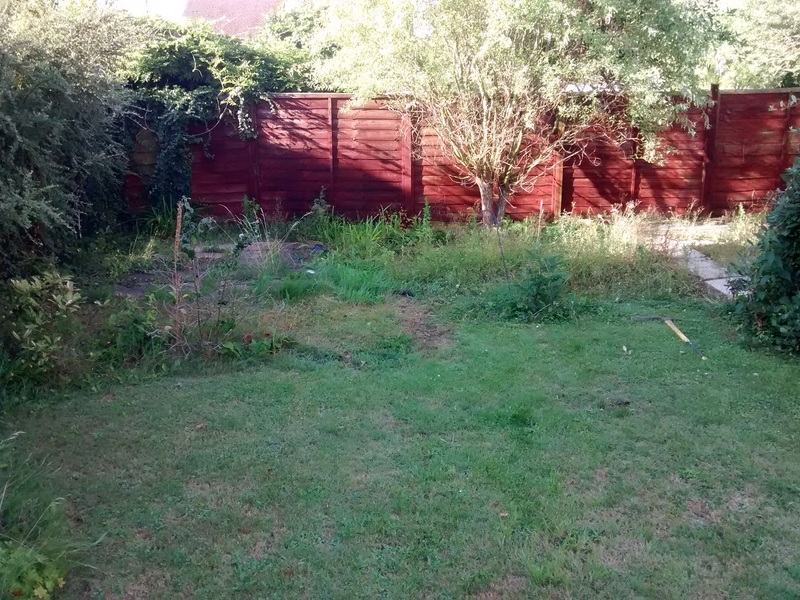 The whole area was cleared of weeds, levelled and bordered with treated timber boards to make three distinct areas. 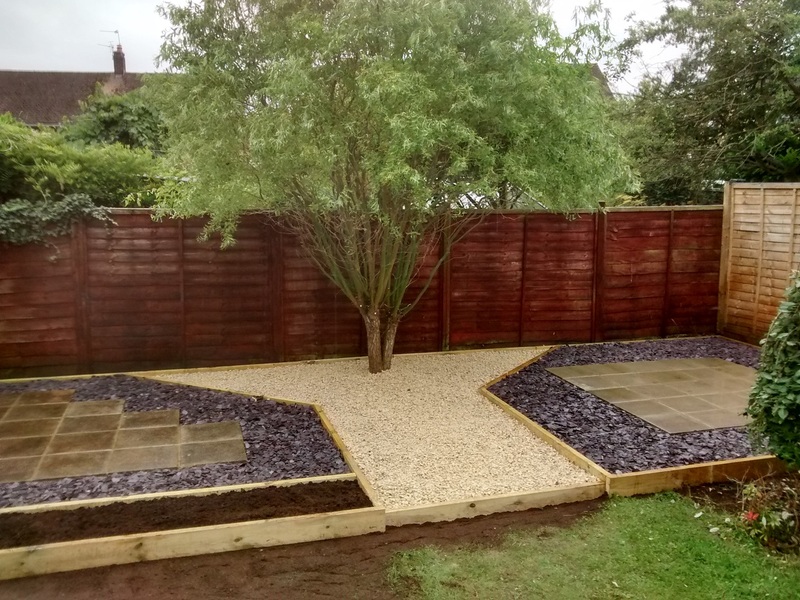 Two small patios were laid using the old slabs and surrounded by purple slate. A 'Y' shaped central path of Cotswold buff stones leads to the tree and gives access to the seating areas. A narrow planting strip was built in to the left hand side with a view to planting with lavender or fragrant herbs or flowers to help soften the edges and add interest. The unkempt and unloved willow was pruned and undercut to show it off to its best effect. 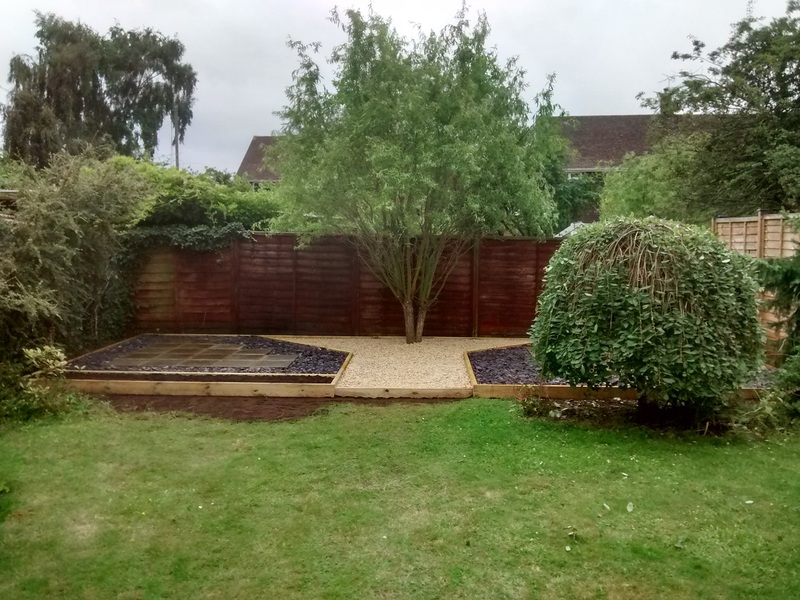 The end result is a multi-purpose area which could used for sitting, sunbathing, barbequeing, displaying large specimen pots or even a child's paddling pool to save the grass getting ruined!